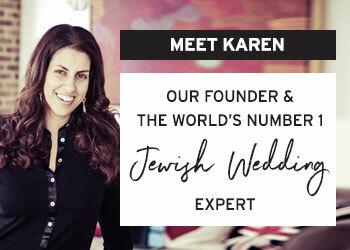 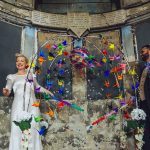 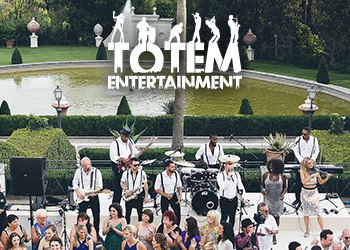 Ketubahs – or ketubot, depending on your grammatical preference–are sacred wedding documents that few Jewish couples would arrive at the chuppah without. 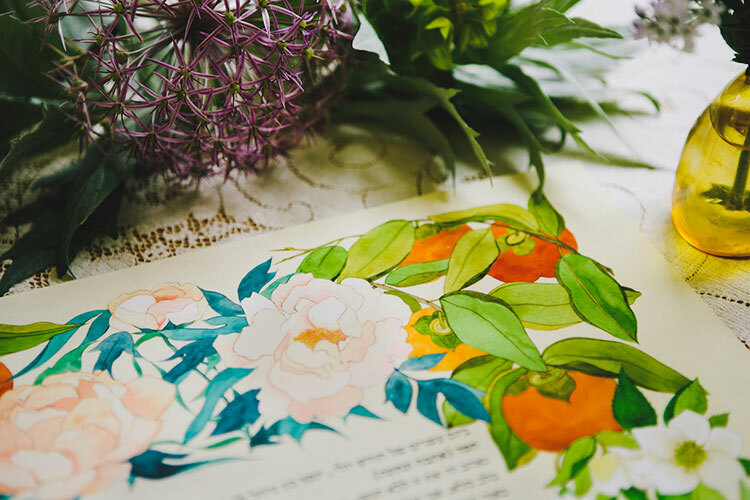 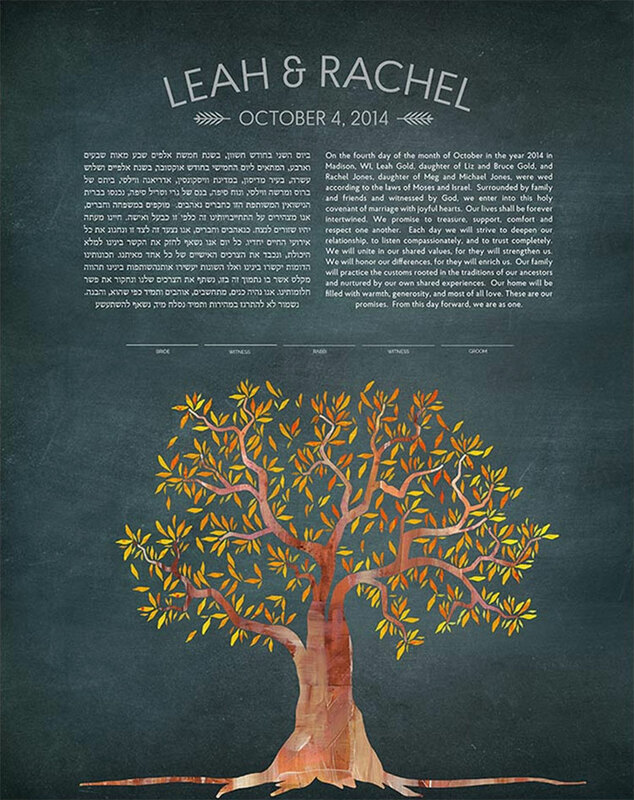 In recent years, however, more and more interfaith and even non-Jewish couples have been inspired to enlist the ketubah’s singular charms. 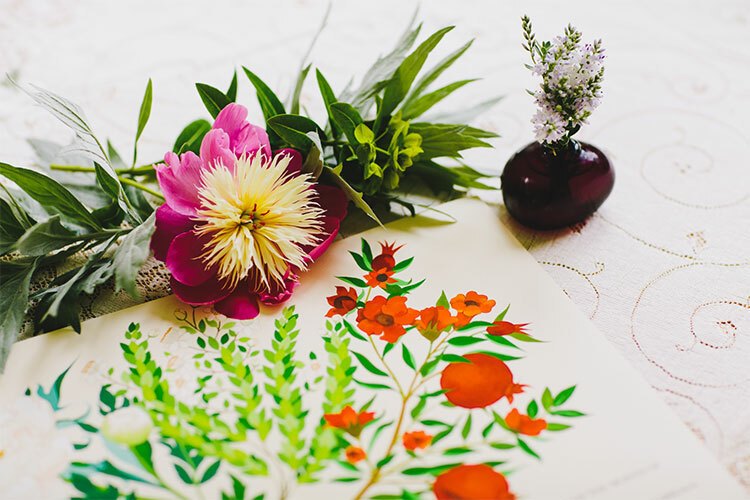 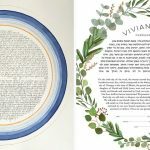 Whatever your background or beliefs, you can find a gorgeous, artful ketubah made specially to consecrate your loving vows. 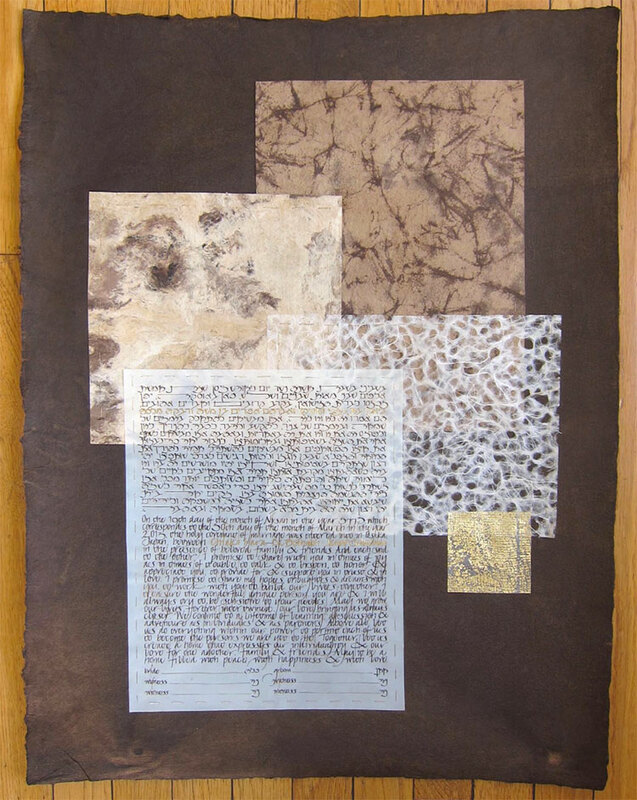 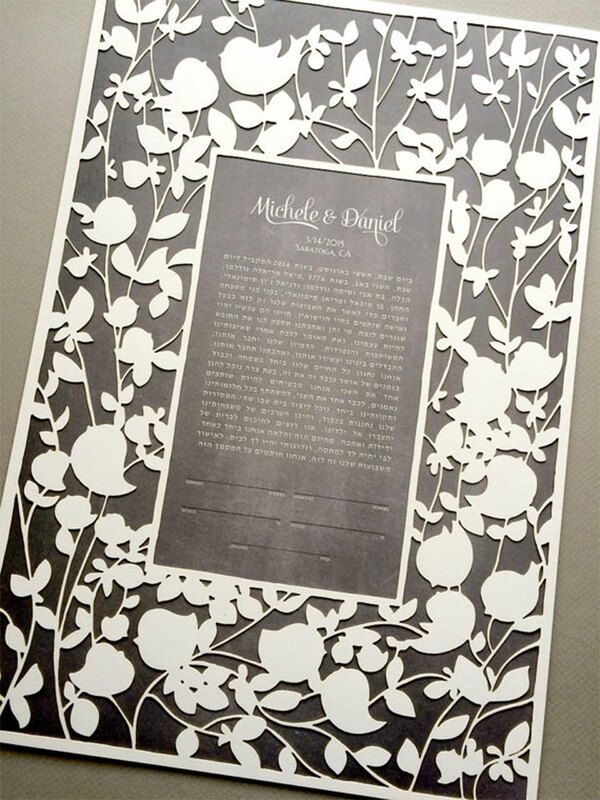 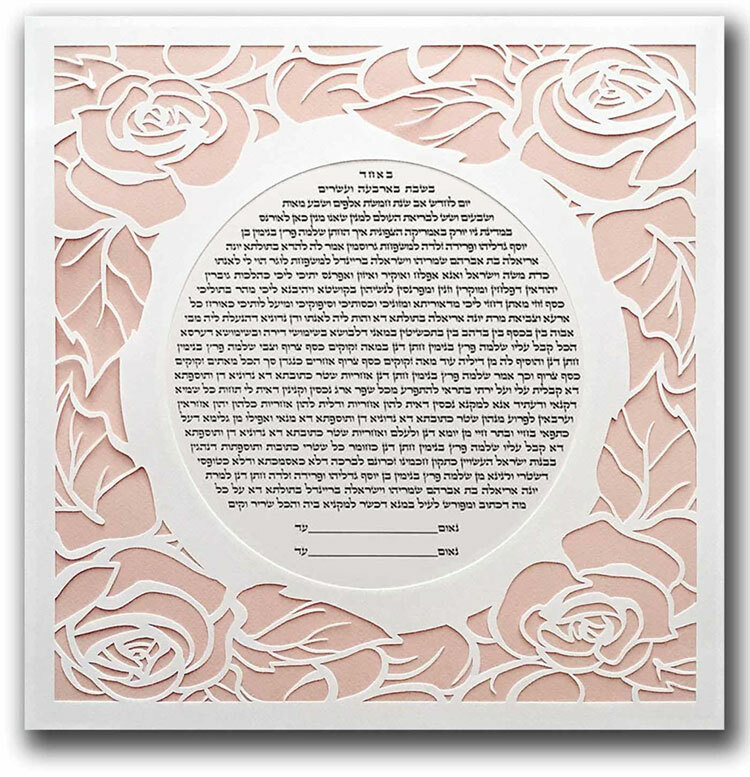 Historically, the traditional ketubah was a binding legal document cataloging a Jewish husband’s obligation to his wife with provisions for her security in the event the marriage dissolved. 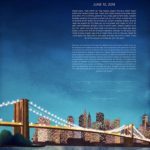 But times have changed, and today, we gravitate towards beautiful, personalized documents that sing of our connection, that pay homage to where we come from, that illuminate our aspirations and the sincerity of our pledge to one another. 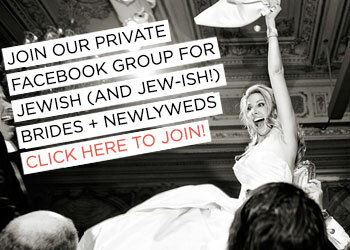 We want something that speaks to our times, and to our unique bond. 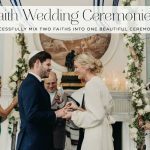 Also, as the rites and rituals stack up in our increasingly diverse partnerships, many couples seek to adapt only the most inspired and meaningful traditions from their family or faith of origin. 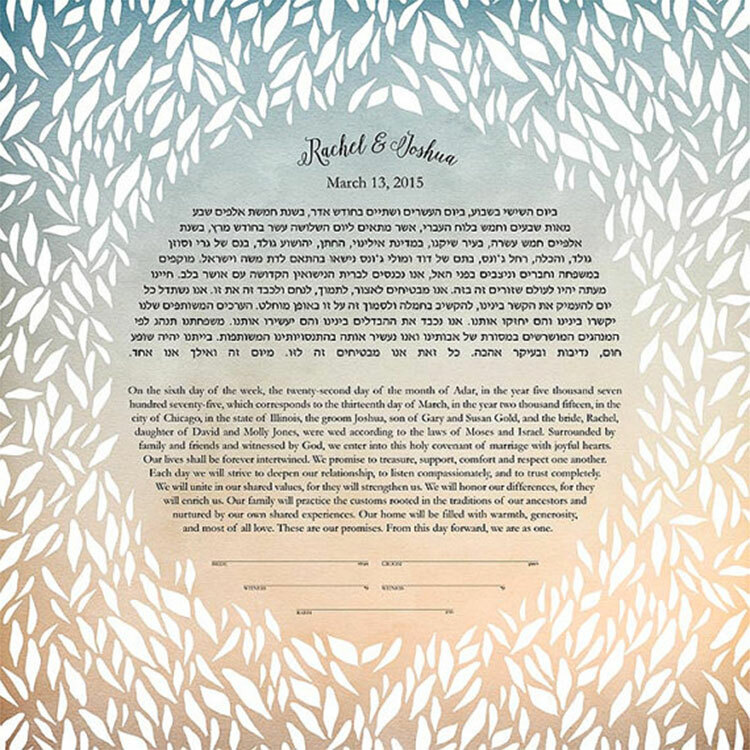 The ketubah is certainly the cream here! 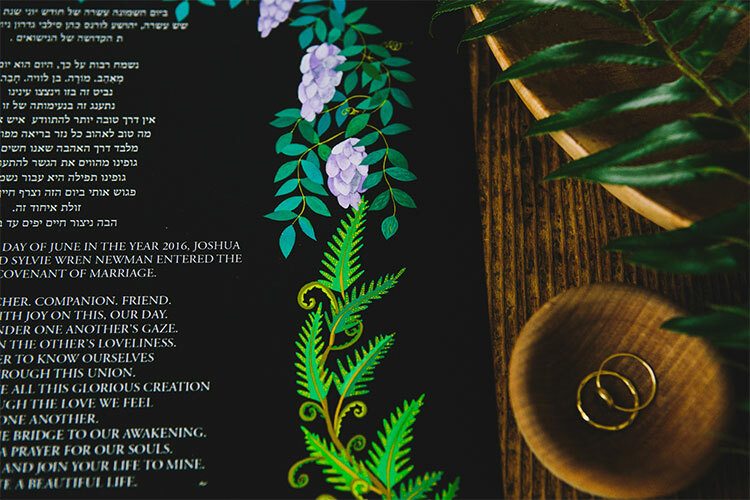 We gravitate towards this loving ritual because it is a distillation of the very best of everything that leads us to our wedding day and everything that is to come afterward. 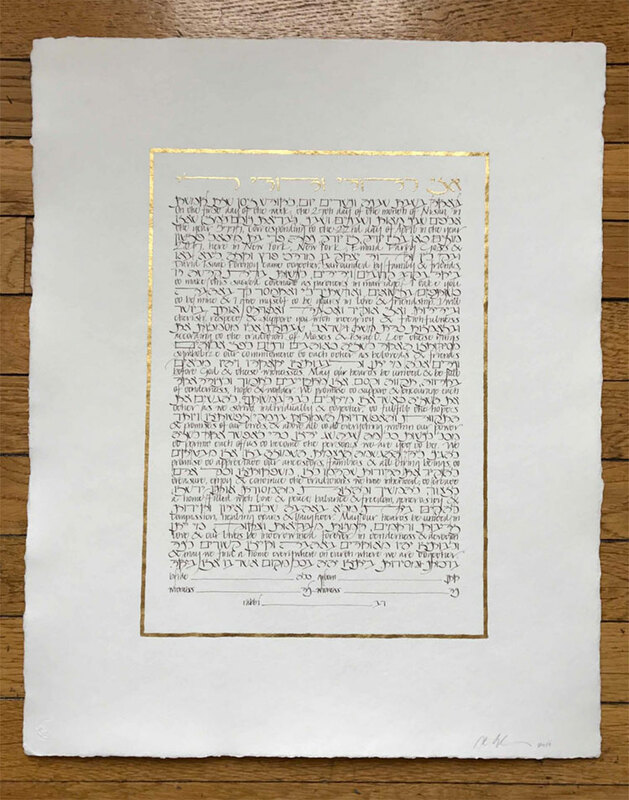 Indeed, it is something we can sign our names to, hang on our wall and return to for inspiration through the inevitable tests of marriage. 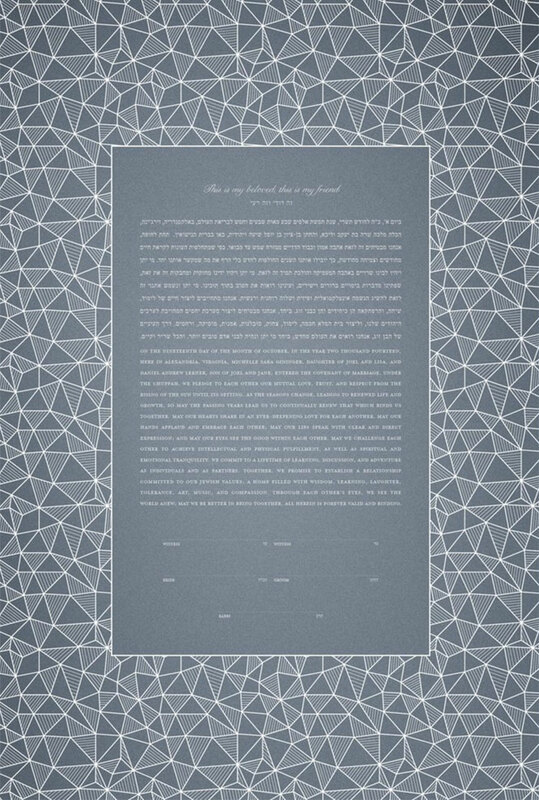 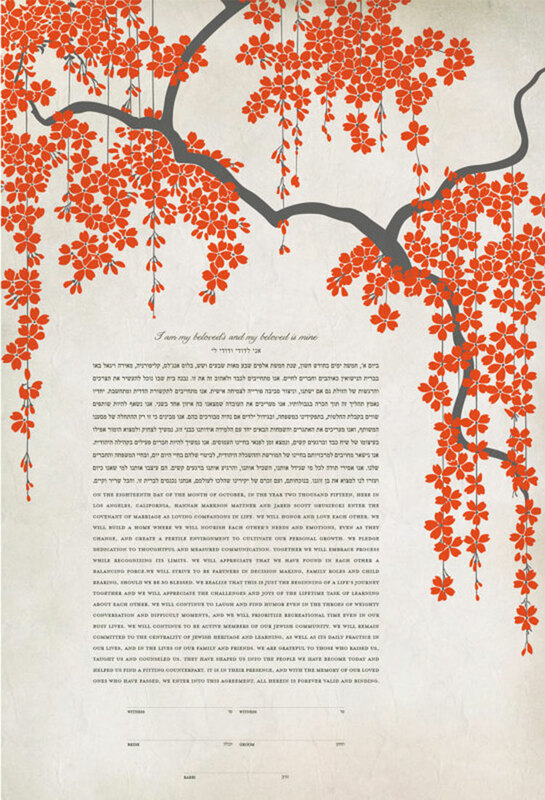 The ketubah is a wedding heirloom like none other, focusing our covenant into a poetic and gorgeous piece of art. 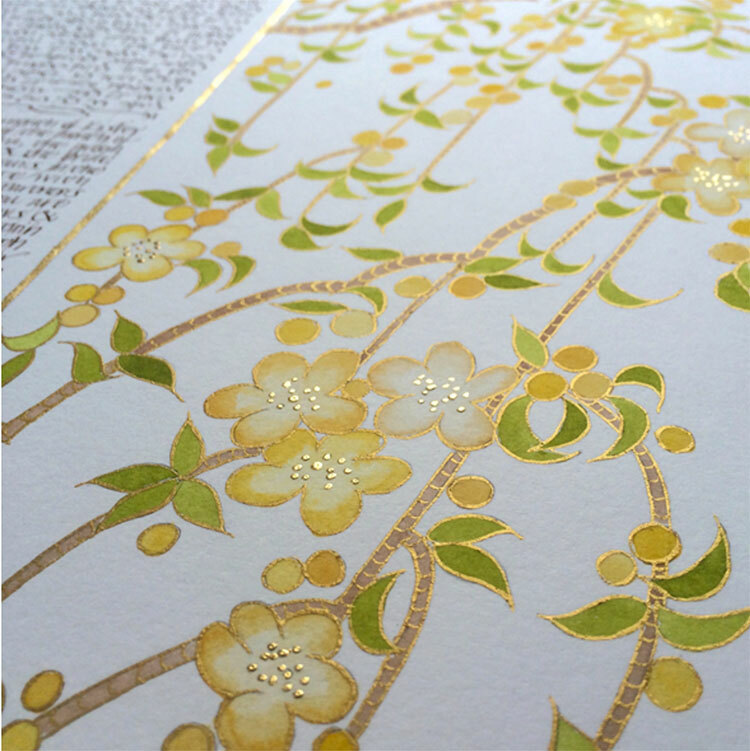 To help inspire you, I’ve collected ten designs – including a couple of my own! 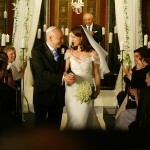 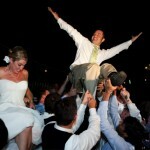 – that would make a great fit for the interfaith couple. 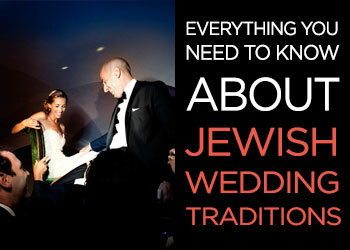 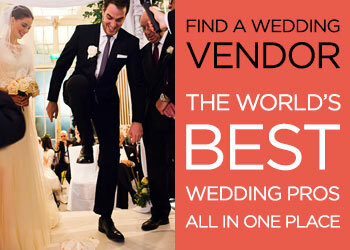 Fond wishes as you prepare for your special day!